Comments: This is one of several morning cultivars that produce large showy flowers. 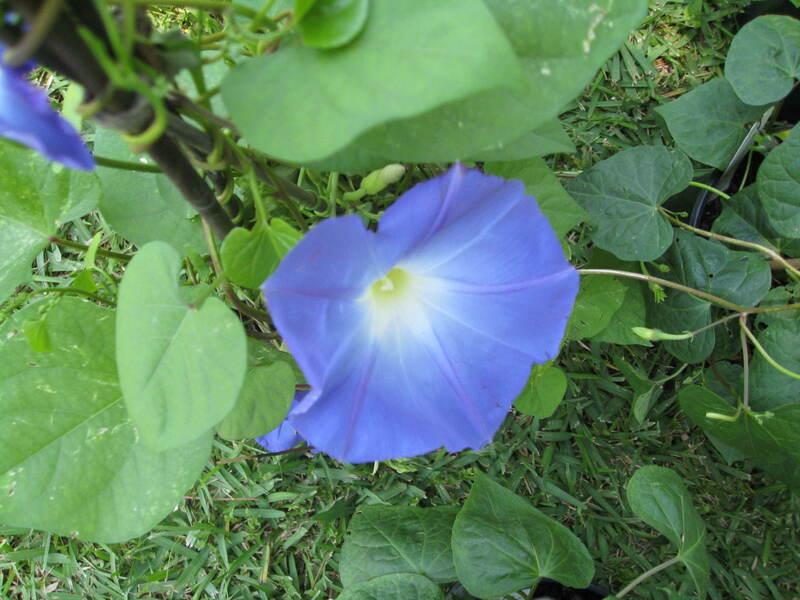 Morning glory vines make excellent "porch" vines to provide quick shade on a sunny porch for the summer months. This vines grows rapidly and produces an abundance of flowers when trained to grow up strings attached to the eves of a building. At the first frost the strings can be cut and all of the spring and summer growth can be removed easily and new seeds can be sown the following spring.